Let’s review a few common truths. First things first, as a small business owner, you’re probably on a budget. You don’t have loads of cash to throw around, and that’s totally understandable. 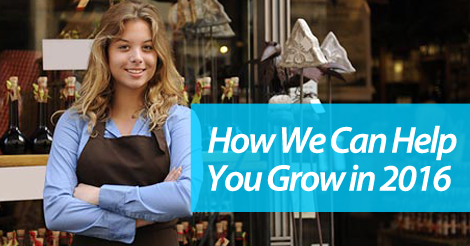 Most of the time, small business owners aren’t looking to strike it big. They just want to have an impact on their local community, while pursuing their passion. Now, in the same turn, small business owners don’t want to simply throw money at low performing methods. They want to take advantage of marketing methods that offer a great return. So, here’s where we come in. First things first, we offer a free text marketing plan for all new customers. We’ll never force you to sign up for something you just don’t need. On top of that, we encourage you to take time educating yourself before hopping into a paid plan. That way, once you make that financial commitment, you know the ropes, and how to be successful. Oh, and by the way, let’s say you don’t feel like upgrading. Well that’s cool, because our free plan is free forever. There’s no limit on your time spent using that plan. Stay on our free plan for the next three years if that tickles your fancy. We won’t ever pressure you into upgrading. Finally, our online texting service appeals to small business owners because of its flexibility. We’ll never secure you into signing a long term contract. We want to build long term relationships with all our customers. As a small business owner, you’re probably totally in sync with this mindset. Now that we’ve painted a picture of our company values and pricing options, let’s get right down to the nitty gritty of text marketing. This mobile communication tactic allows you to instantly touch base with qualified customers. One simple campaign can drastically increase your current offer redemption rates, and immediately grow your bottom line. Join forces with the top text marketing service for small businesses. Give us a ring at 1.800.688.6290, or simply head over to our pricing page and sign up for a free plan. Don’t get left behind this year. Embrace the power and possibility of text marketing. Take time to comb through our dense educational resources, and learn more about why text marketing is the key to your small business success.